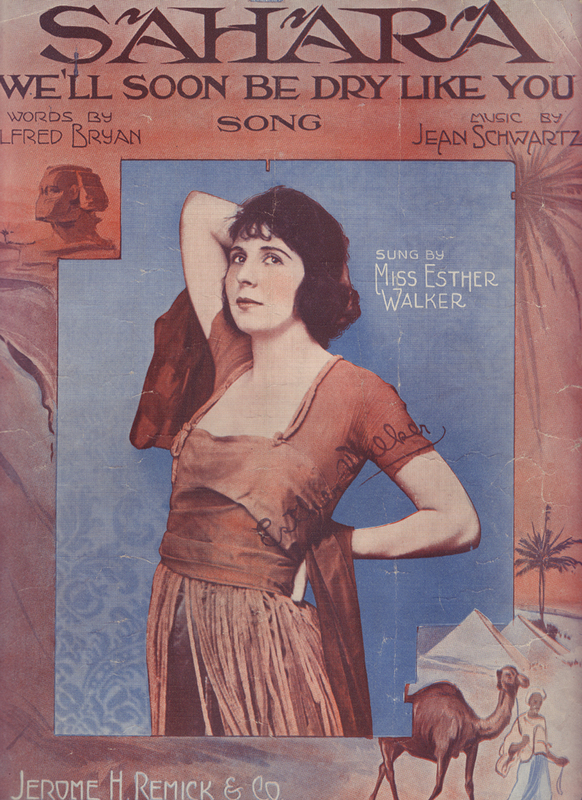 Esther Walker was a popular musicomedy star in the 1920s. Born Esther Thomas in Louisville, Kentucky on October 18, 1894, she had three sisters and four brothers. 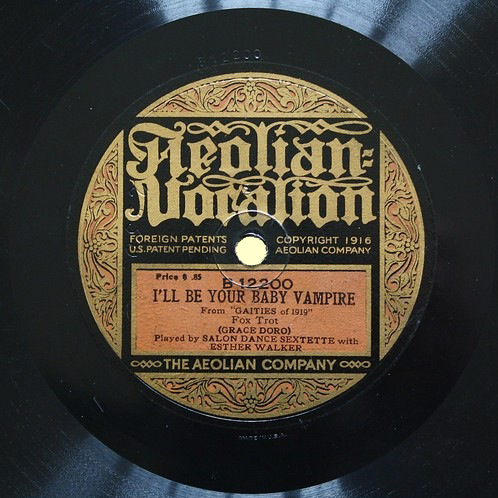 As she began her stage career, Esther Thomas adopted the stage name of Esther Walker. 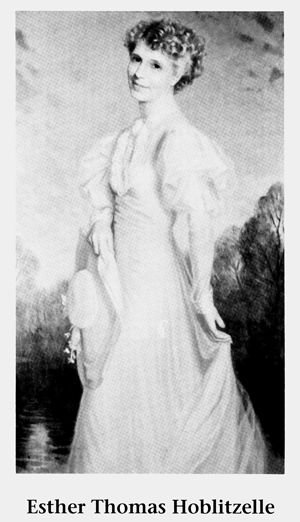 In 1919 Esther appeared on Broadway at the Winter Garden Theatre in the production of "Monte Cristo, Jr.". And later in the same year she could be found at the 44th Street Theatre in the short-lived production of "Hello, Alexander" with songs by composer Jean Schwartz. 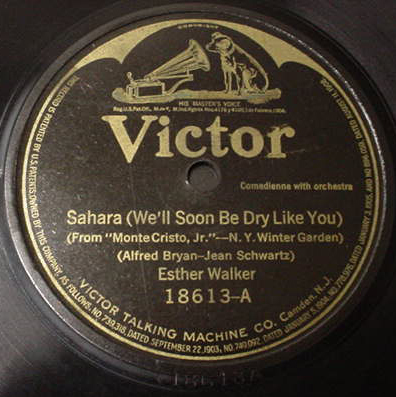 Esther Walker’s short recording career ran from 1919-1920 and 1925-1927 producing some 32 sides on Victor and Brunswick. 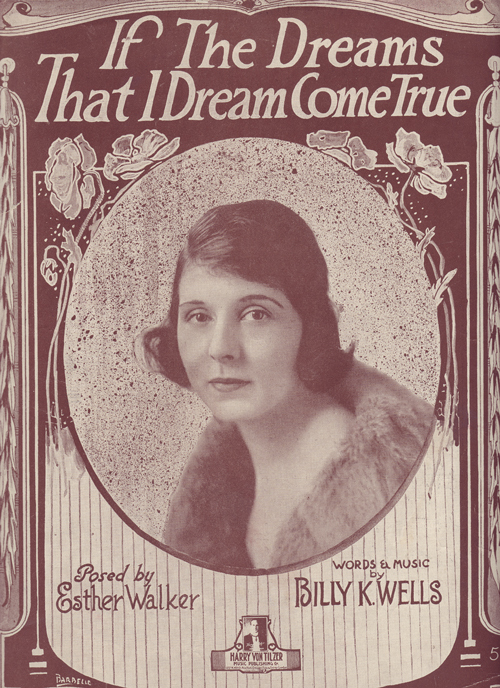 The height of her recording success was probably in 1926 when she recorded the Brunswick sides "Ya Gotta Know How To Love" and "As Long As I Have You And You Have Me". Esther Thomas married famous Texan movie theater owner Karl Hoblitzelle. Mr. Hoblitzelle, born in Missouri, was an event manager at the St. Louis World’s Fair. He later moved to Dallas and started a successful chain of vaudeville houses and movie theaters. In 1942 Karl and Esther chartered a philanthropic foundation - the "Hoblitzelle Foundation" which provided funds to schools, hospitals, agriculture, and other interests. The foundation still thrives today. Esther Walker Thomas Hoblitzelle died of cancer in Dallas on July 26, 1943 at the age of 48. The bulk of her estate went to the foundation.